I came across the above title when I was reading a piece by Francis McKee in this week’s Sunday Herald; he had read this on a placard in George Square Glasgow. I read it carefully as it was about the literature put out by the Yes Campaign and the No Campaign, and the No literature was duller but repetitive – and the word “Better” was suspect in my view, after all the whole No programme was “Better Together” but it was a Yes slogan. The Anniversary of the Referendum has now passed and still the press is full of the plaintive message from the winners “What part of NO do you not understand?” and shock, horror, dismay that there would be another referendum. Just last week I watched David Mundell the Secretary of State for Scotland speaking to journalists at a press conference and saying “The SNP is ignoring the votes of 2 million people”. He says this from the lofty stance that in the General Election this year 2,476,458 voters in Scotland did not support his party, but that doesn’t count- he’s a Tory Supreme Being, and England voted Tory, so there. What he and his like do not understand is that we are in the 21st century War of Independence, and the Referendum was the first major battle. What they think is “We whupped them, and they should have gone off skulking with their tails between their legs and sat at home licking their wounds until we condescended to throw them a few scraps.” Quite honestly I also felt that we would need a few years to recuperate before we tried again, which depressed me as I do not have the years to wait for another go. What happened on 18th September was not an outright defeat of ideas, but the undermining of the political will of those made to feel vulnerable; pensions, health, defence (now there’s an oxymoron if ever there was one) and scares about banks and financial institutions and a falling oil price. The No crowd still rejoices about the falling oil price, blithely ignorant of the fact that Scotland never got one penny of oil money, as it was all poured into the gaping maw of the Treasury, and the only people hurt by the fall are themselves because the Treasury has less money to squander. So there! No one could have foreseen the explosion in the membership of the SNP; come next year I will have 50 years service with the party and I never thought we could get this close. Mind you I might have been prescient as I bet £10 on the SNP getting more than 50 seats, and complained that the odds were only 7/4 – in my view that was poor odds for such a long shot. The bookie was confused when I placed the bet, and even more confused when I appeared to collect the winnings! 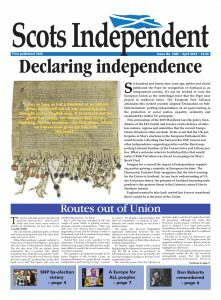 We tend to think that our predecessors in the SNP expected to see independence but this was not so; they were just there to help along the way, sure that it would eventually happen. 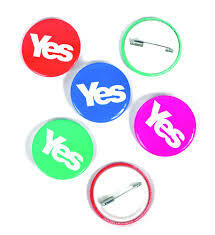 I myself did not expect to see it but hoped my grandchildren would – as it was my four grandchildren all voted Yes. And now we have another front opening up – Jeremy Corbyn. Strangely he is the MP for Islington, the parliamentary seat held by George Cunningham, a Scot, and the Labour MP in 1979 who planted the 40% rule into the 1979 Referendum, where the votes of the dead were counted as Noes. It is difficult to speculate on what effect Corbyn will have on the body politic. He was a rank outsider, and not expected to even “save his deposit”. So far we have seen Kezia Dugdale, leader of Scottish Labour who was scathing about Mr Corbyn and his pronouncements, now saying what a great guy he is and “We have every confidence…etc etc etc”. How success attracts admirers! He might have some wacky ideas, and has appointed a Shadow Cabinet, but judging by some remarks the shadows will fade. And now Ms Dugdale says she will allow her MPs (well there is only one) and MSPs to campaign for independence – I watched her discomfiture on the Politics Show, where Gordon Brewer filleted her. So, Jeremy Corbyn does not believe in Scottish Independence, 93% of his MPs do not believe in Jeremy Corbyn, and none of them believe in Scottish Independence either. She expects that the Labour Party per se will be grateful if she helps take Scotland out of the United Kingdom, loses the so mythical oil money and gets rid of Trident thus ensuring rUK’s ejection as a member with the power of veto from the United Nation’s Security Council. Ms Dugdale is known for changing her mind, or for having it changed for her. 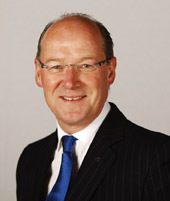 Her assertion that Labour MSPs will all blithely dump their anti SNP role will run slap bang into the Westminster Parliamentary Labour Party wall; there is only one Scottish Labour MP, the likes of Gordon Brown, Tom Harris, Ian Davidson, Jim Murphy, Douglas Alexander and Margaret Curran are no longer in Westminster to head her off, Lord Darling will be comfortably ensconsed in the Lords retirement home. However, the Labour Party per se is still alive, but not sure if it is well, and these former Parliamentarians will still be in the Labour Party, and Labour south of the border is firmly Unionist so I expect storms ahead. And as the rUK will largely consist of England, one ditty from Gilbert & Sullivan’s HMS Pinafore is running through my mind: “ For he might have been a Roossian, a French or Dutch or Proossian, or perhaps Italian, but in spite of all temptations to belong to other nations, he remains an Englishman”. 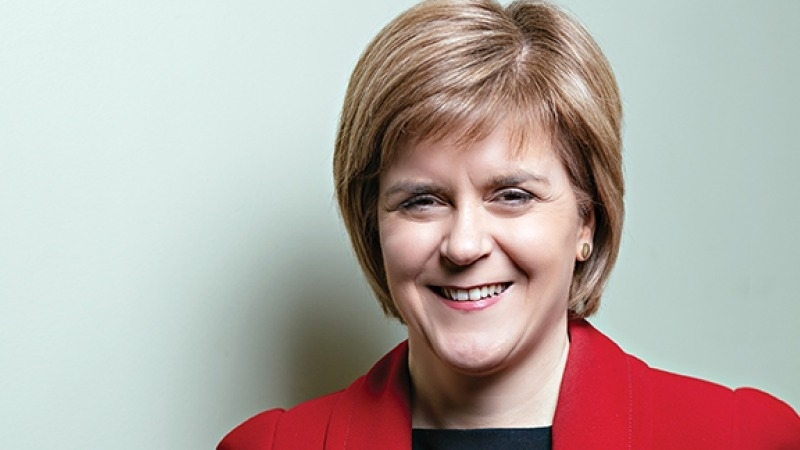 From Scotland’s side any talk of a referendum in the next two years is injudicious. First, the SNP has to win power at Holyrood, and any talk of encouraging members to give their list vote to another sympathetic party is nonsense. This is not a game to spread fairness and equity all round; it is a hard political fight to get as many votes and elected members as possible. We bear no ill will to other parties but they have to earn these votes, not have them gifted to them. They will have their own supporters and should not be leeching off us. Nicola’s immediate task is to win the Holyrood Election and to keep all the Yes voters on board; we must not ignore them or take them for granted . The best maxim in politics is do not promise what you cannot perform, and the other parties will be hellbent on attacking the SNP for making promises, completely ignoring the fact that the delivery of these policies requires adequate cash and there is a shortage of cash – since the SNP took office the money from the Treasury has been reduced – strange how that happened. And remember also that this SNP Government has competence; John Swinney has managed the finances superbly for the last eight years, but you cannot spend what you have not got – well Westminster can, and look at the mess they have made. That bill will still be being paid by the aforesaid grandchildren. The Unionists will concentrate on three things, Education, the National Health Service and Police Scotland so we know where they are coming from. We are not getting everything right but we are still riding high in the opinion polls and keep winning by elections so we are trusted. Case in point: a big fuss this week because the 15p cost of calls to Police Scotland goes to Vodafone, tax avoiders, to say the least. Up pops Willie Rennie of the Liberals bleating (all sheep bleat) that Nicola Sturgeon should do something about hundreds of thousands going to tax avoiders. The contract was awarded by the Home Office in 2013 (Tory Liberal coalition) despite law and order being devolved. Mr Rennie – away and bleat at the mirror.